At Apex Scaffolding we have the necessary skill and experience to provide scaffolding for bridge work during construction or repair. We can also supply the provision of temporary foot bridges where access is needed over an obstacle such as a road or waterway. Where access from the ground is limited, droppers can be fitted from the bridge (i.e. hanging over the side) to allow contractors to work on the structure underneath. Our highly Trained and Accredited Workforce can advise on the best solution to suit your needs. 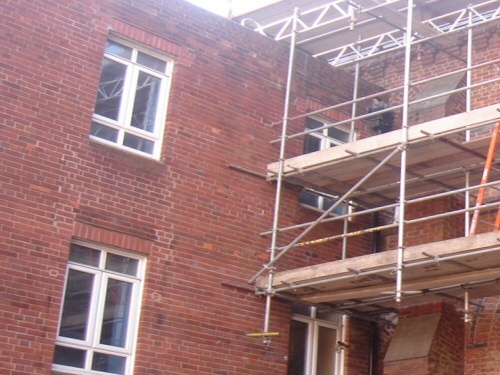 To enquire about our bridge scaffolding, please email or give us a call.